Small dairy factories were established in the wetter parts of Marlborough in the early 20th century, but all had closed by 2004. 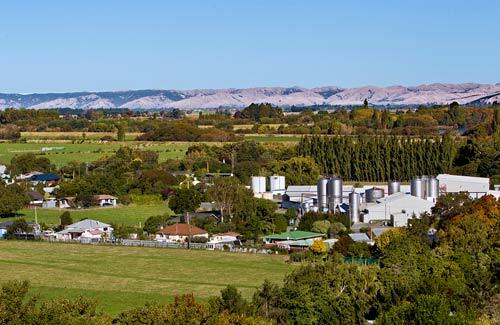 This fully automated Fonterra milk-concentration plant at Tuamarina, which is operated from another plant in South Canterbury, 460 kilometres away, opened in 2005. Water is removed from the milk, reducing the volume of liquid to be trucked to the South Canterbury factory.